Candace McCowan has more from Lower Manhattan. NEW YORK -- It was a tragic accident that witnesses will never forget at the World Trade Center Oculus. Santos was rushed to Bellevue Hospital where she was later pronounced dead. Eyewitness News has learned that Santos was a graduate of Kearny High School. She was also a member of the Bergen County Rowing Academy. Santos was a coach, teacher and friend. 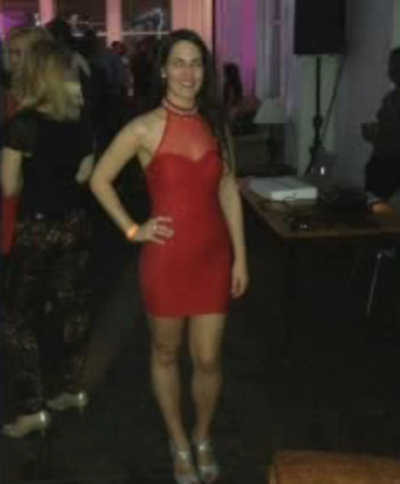 Eyewitness News learned that she was a graduate of Kearny High School, and was a member of the Bergen County Rowing Academy. "Just yesterday she was with us - Jenny was coaching our winter team, training team in strength training, and you say goodbye like you normally do, expecting to see her again," said Coach Clemens Reinke. "I understand that somehow the hat flew away, that she would jump after that, that is kind of her fun-loving way of wanting to be helpful. I can't believe this went so wrong," he added. Coach Reinke tells Eyewitness News that Santos was extremely close to her sisters, and that his heart is broken for her family and twin sister who witnessed her final moments. "I can't even fathom what you go through right now," he said. At Oculus on Saturday, the escalator remained closed for hours as Port Authority Police investigated, but service was not interrupted. Coach Reinke says they plan to name a boat after Santos to honor her. The striking $3.9 billion Oculus transportation hub was designed by architect Santiago Calatrava and provides connections between New Jersey's PATH trains and New York City's subways.